His dad used to be roller driver with low and unstable income. His mom is selling sticky rice in the morning in front of primary school. Because life is so hard for his family basic needs and support to send him, his dad asks for help from local protection center. The case worker refers his case to Holt for support. The child was awarded with $165 for 12 months to pay for his school fees. Duy Nhat was born with mental delay and is hyper active; however, his physical development is appropriate. Duy Nhat was born with mental delay and hyperactivity. 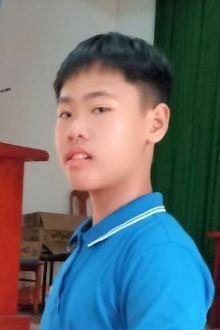 His family lives in rural area of Khanh Hoa provice. His dad used to be roller driver with low and unstable income. His mom is selling sticky rice in the morning in front of primary school. Every day, his dad sends him to a center for disabled children which is 25 km away from his house and pick him up in the afternoon. Tell your friends Nhat needs a sponsor!